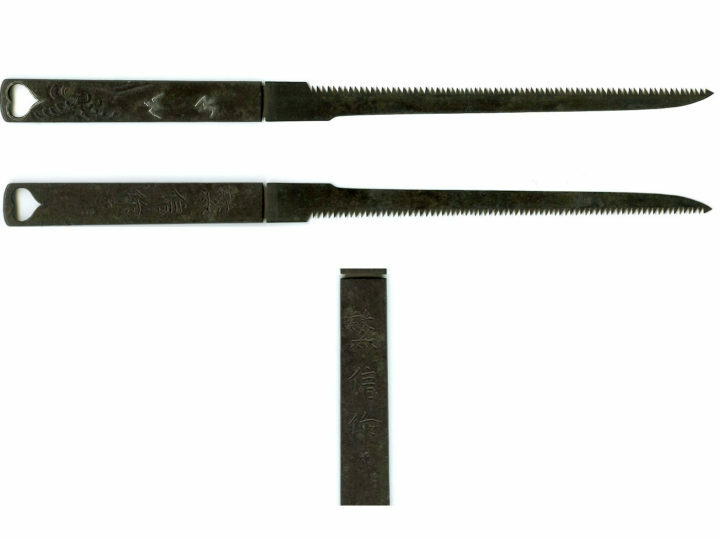 One of the latest additions to my collection of unusual things (mezurashii mono) are these two tiny stirrups (abumi). They were made to function as netsuke, but the attention to detail makes you want to attach them to a tiny saddle and throw them on a really tiny horse. 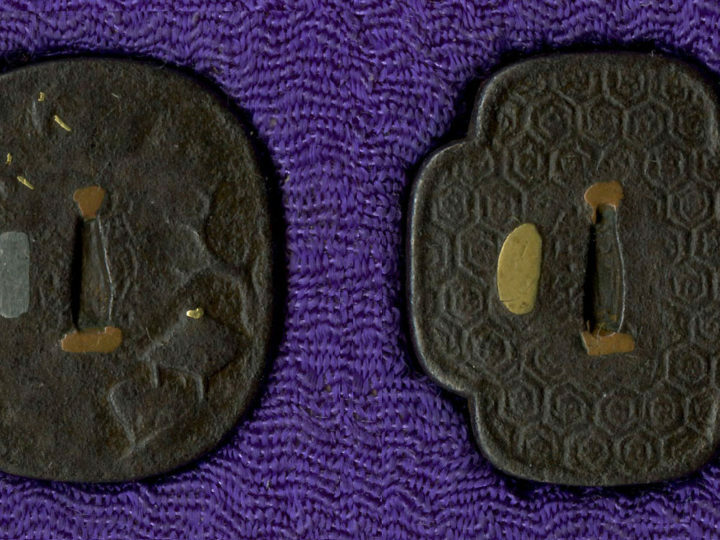 The larger one is made of iron that has been decorated with inlay of shakudo, silver, and gold. 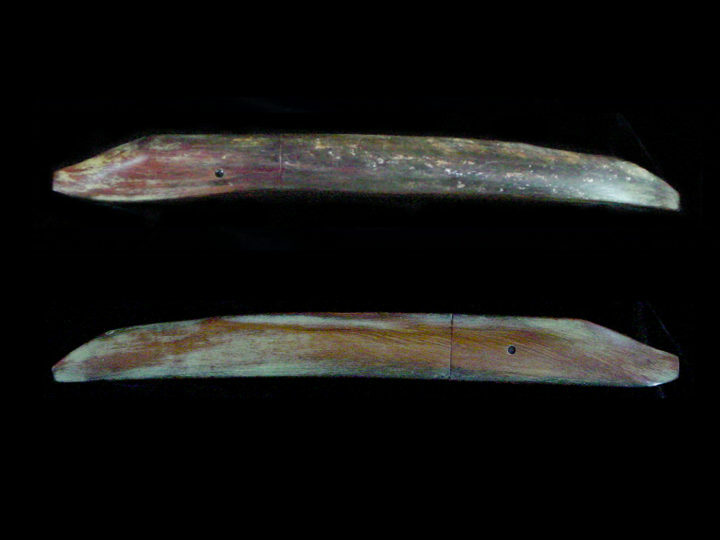 The inside of the larger stirrup has shakudo and silver applied to give the appearance that this stirrup has withstood a great deal of rubbing from the foot of the Samurai. 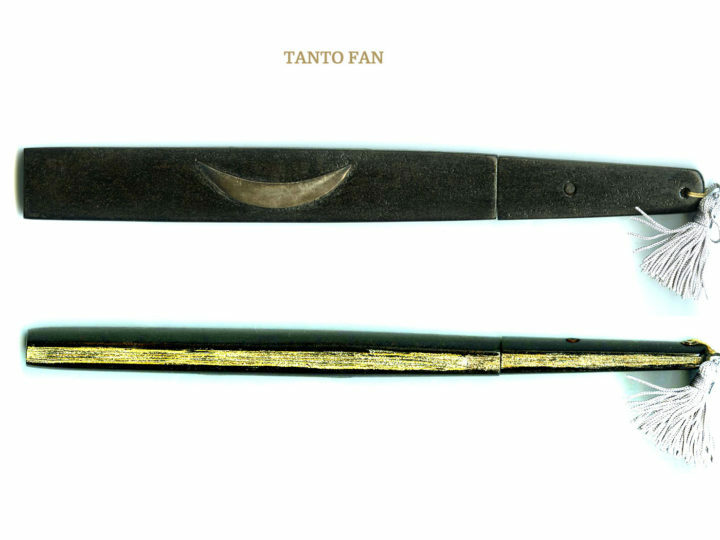 The smaller one is made of shibuichi and decorated with copper, silver, and gold. 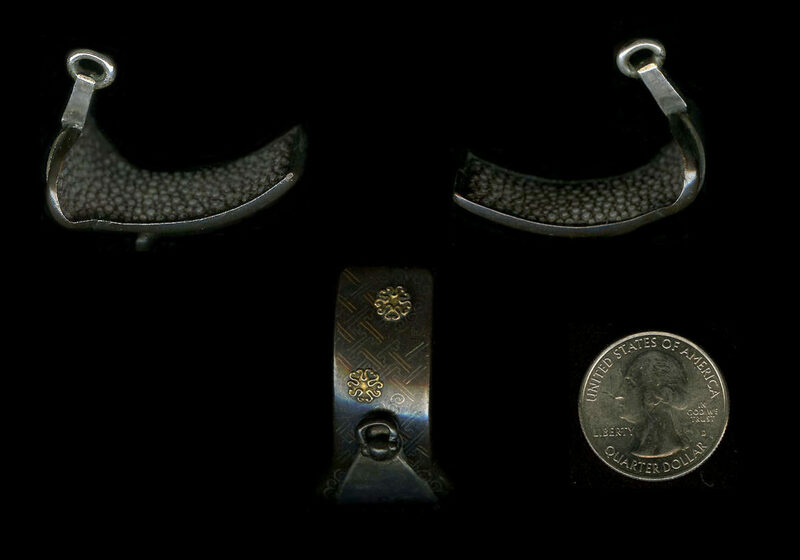 The inside of the smaller stirrup is lined with same. 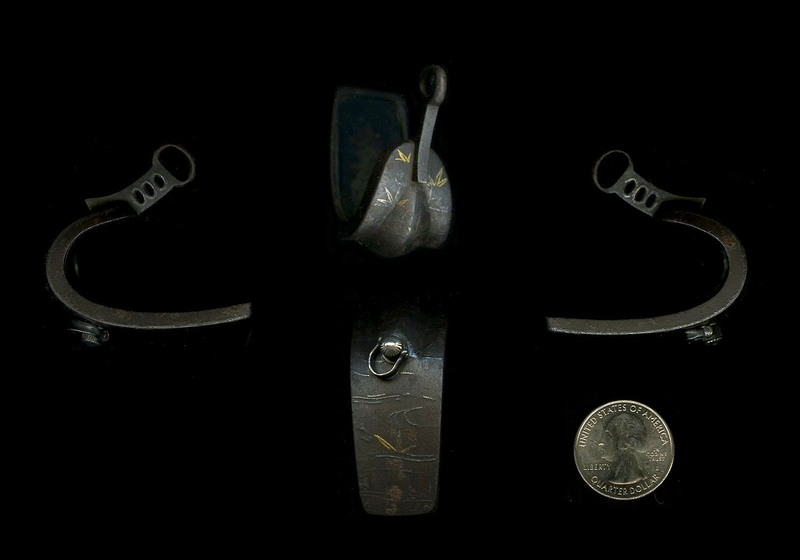 I have put a quarter for scale in each photo to give the reader some feel for the size of these two pieces One is quite larger than the other. Great detail on these creating objects of great fun.